As summer approaches, you may be wondering, “Is my child ready for the upcoming school year? Sebastian will be starting kindergarten in September just as he turns 5, making him on the younger side of his class. I know he&apos;s ready-- he was born ready--but we didn&apos;t take the decision lightly and of course will be monitoring his progress. 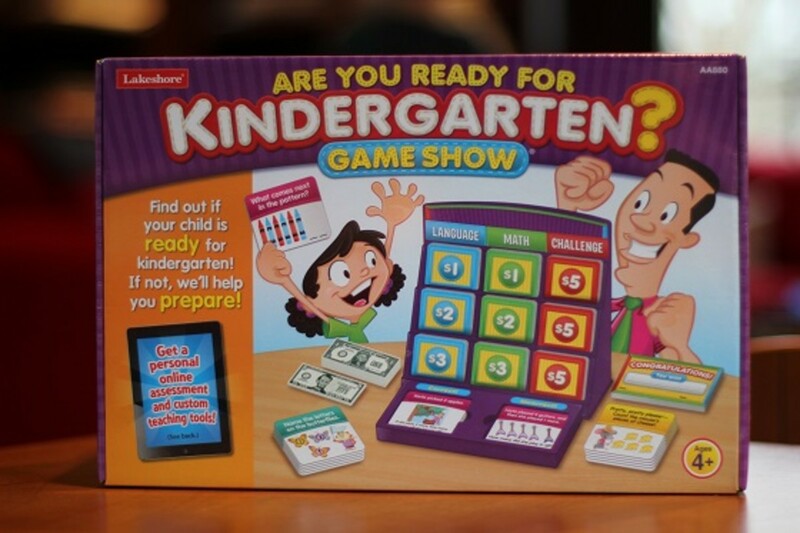 While there&apos;s more to kindergarten readiness than just academics, I was intrigued by Lakeshore Learning&apos;s new series of games, "Are You Ready?." 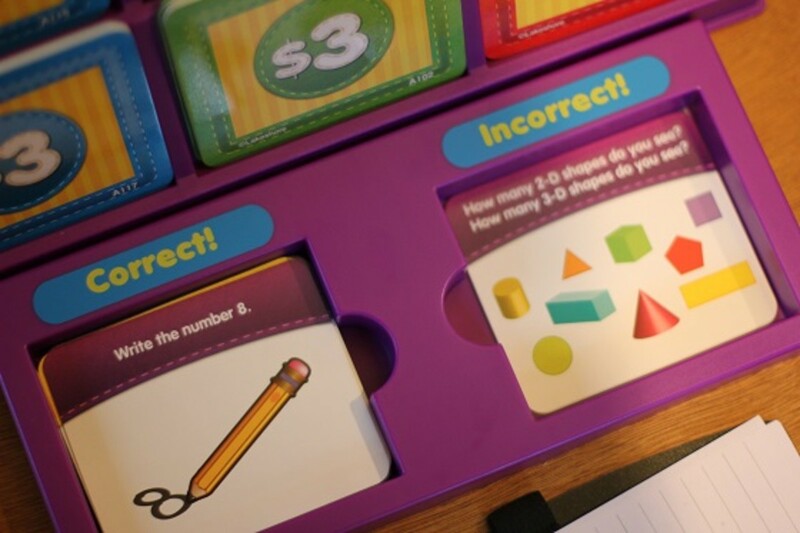 From kindergarten to fifth grade, the fun, game-show format lets kids become the contestants, winning pretend cash for each math or language question answered correctly. 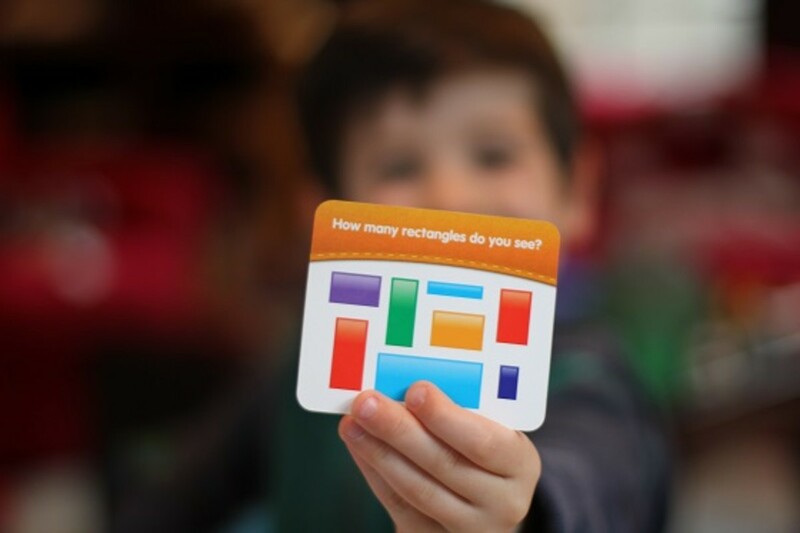 After completing each game, the child wins a reward coupon (for a prize of your choice) but what really makes the game stand out is that you can visit Lakeshore’s site and receive an instant online assessment that pinpoints any areas where your child may need additional help as well as provide free printable activities that focus on those exact skills that need sharpening. Each game retails for $29.99 and come with playing cards, a game stand with discard tray, play money, reward coupons, and a score tracker. 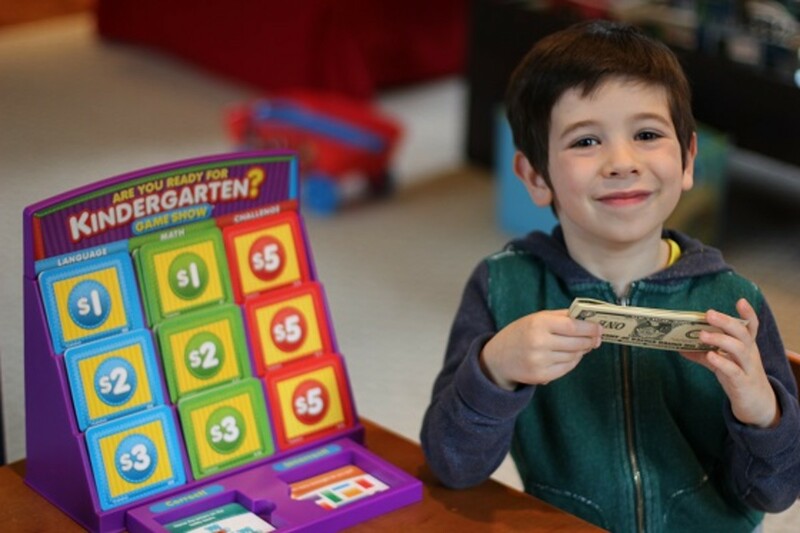 Sebastian LOVES playing and is most definitely ready for kindergarten if all the cash and reward coupons he&apos;s been racking up are any indication! In all seriousness, I wouldn&apos;t let a game be the deciding factor but it&apos;s super fun for both children and adults to play and will shine a light on concepts you may wish to work on with your child. Are You Ready for Kindergarten is Glamamom-approved. To get $10 off any Are YouReady? Game Show®, entercode 9141 at checkout or click here for a store coupon! Expires 7/31/14.